Here are some of the best humidifiers on the market, that are not only affordable, but also does exactly what a humidifier should do. Costing under $20, this PureGuardian Ultrasonic Cool Mist Humidifier is the perfect desktop humidifier. Whether you use it on your desk or on your bedside table, this affordable humidifier is often overlooked because of its price. But if you’re looking for a humidifier that is small, quiet, has no bright lighting that will disrupt your sleep, and is easy to clean, then this PureGuardian humidifier is for you. 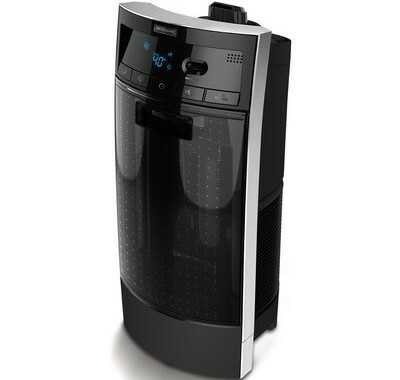 Fighting mold and mildew, this humidifier is best for those who want to purify the air in your office, bedroom or baby’s nursery. Because it is so small and quiet due to it ultrasonic technology, it is perfect to place in any small area. Dispersing fine mist it will add moisture into dry air and soothe a variety of healthy problems. It also has an optional night light which is not too bright and won’t keep you up at night. When it comes to refilling this humidifier it is quick and simple. The appliance can run for 10 hours on high speed before it needs to filled up again. This means that there will be no problems running it through the night. The water tank has also been treated with Silver Clean protection to prevent mold growth on the surface of the water tank which is a common problem with other humidifiers. 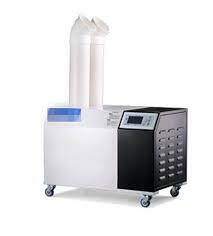 Because of this, there is no additional maintenance costs, and does not need evaporating filters, pads, and wicks. One of the most affordable, yet reliable humidifier on the market is the JZK – Mini Portable Night Light Air Humidifier and Purifier. Not only does this humidifier purify the air around you, but also uses essential oils to create a fragrant space that relieves stress. By diffusing the essential oil concocted water, the diffuser livens up your home with a fragrant mist leaving your skin looking revived and fresh. Mist can be released either continuously or every 30 seconds depending on the setting you prefer. 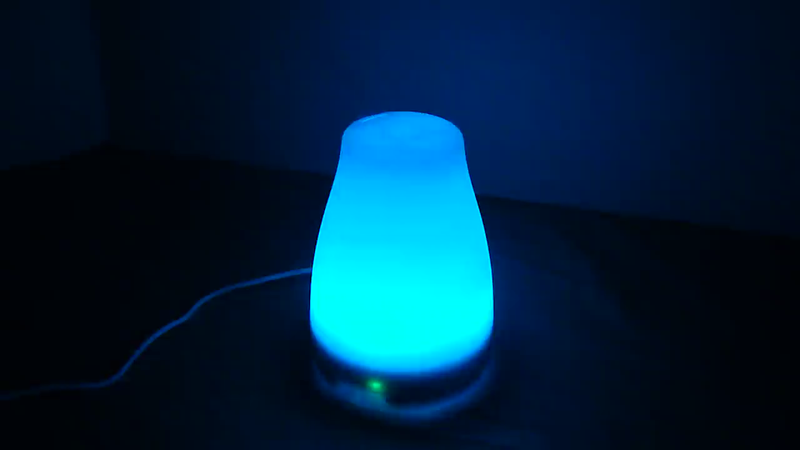 The humidifier also comes in a collection of lighting options that is soothing and helps you to relax. These lighting options also makes it perfect for a baby’s nursery, bedroom and even hotel room when traveling. The lighting options are also ideal for a night light for younger children. Because of its size, this humidifier is completely portable and is the perfect appliance for your office desk. It also has a versatile plug option with both AC/DC and USB cable which means it can be used in your car, office or home with ease. This humidifier is also easy to use as it literally takes about 20 seconds to set up and start running. You can press the power button any time to turn the humidifier off while still keeping the attractive blue light on. One of the most unbelievable add ons to this product is its lifetime guarantee. 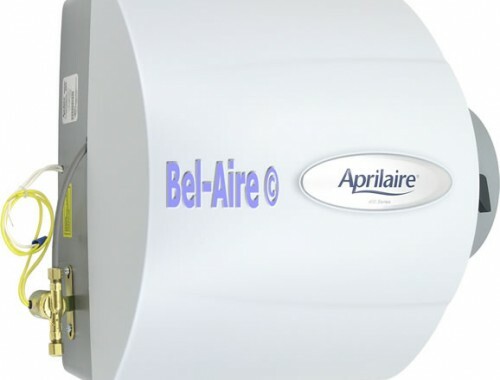 At this affordable price of under $20, you not only get the appliance, but also a guarantee of if anything ever goes wrong with your humidifier, a free one will be immediately shipped to you. This is a no questions asked policy that removes all risk throughout your life. Now that is truly value for money. Creating a fragrant environment for you to live and work in, the TaoTronics Essential Oil Diffuser Ultrasonic Humidifier is beautifully designed to placed in any area of your home or office. Dispensing a cool mist infused with essential oils throughout your environment, the humidifier leaves you feeling relaxed and lifting your mood. With a lighting option to accompany the mist, you can create a mood that is both appealing to the eye and nose. With two push buttons on the side of the humidifier, using this appliance is easy. The first button the right controls the ultrasonic mist that is released from the humidifier. The mist is released almost in complete silence which allows for a night of peaceful sleep. The button on the left controls the lighting feature. With a complete fill up, the humidifier can hold water that will last for four hours running on a continuous mode. If you put the humidifier on to the 30 seconds on, 30 seconds off mode, it can last for 8 hours in total. Over all, this humidifier is perfect for someone who is looking for an appliance in the upper end of the low budget humidifiers. Still only under $30, this humidifier is excellent value for money, and is made by a well known humidifier brand. 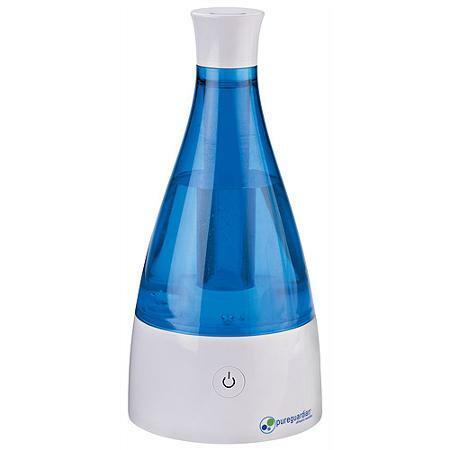 Another humidifier that is under $25 is the BATTOP Essential Oil Diffuser Ultrasonic Aromatherapy Oil Diffuser Cool Mist Aroma Humidifier. Built with LED lights that come in seven different colours, this humidifier has a lighting option for every room in your home. Perfect for small to medium sized rooms like a bedroom, dining,bathroom or office space, this humidifier constantly adds moisture to the air keeping you skin moist and helping with symptoms of cold and flus. The humidifier has three settings toggled by the mist button – green, red and off. The green setting means that mist is dispersed intermittently for 30 seconds on and then 30 seconds off. Red means that the mist is being released continuously. When the humidifier is off, you can still use it as a light. Unlike the other cheap humidifiers, this one has an auto shut off feature that turns the appliance off when it runs out of water. It also helps to keep the essential oils 100% natural without burning or heating it. The oils are not included in the price, but can be bought separately. The package comes with the humidifier itself, a wall charger, measuring cup for refilling the water tank and a user manual. Additionally, you’ll also get a 90 days Money back guarantee and an 18 months warranty. Now that you have these four options to choose from, go and take another look at your budget and pick the one that best suits your needs. Having a humidifier in your home is essential, so finding one that suits your budget is truly beneficial. Both cheap and reliable, these humidifiers may be small, but all do the job that are meant to do by adding moisture into the air around you. Say goodbye to colds and flus as you breathe in some of the freshest air that didn’t break your bank account.